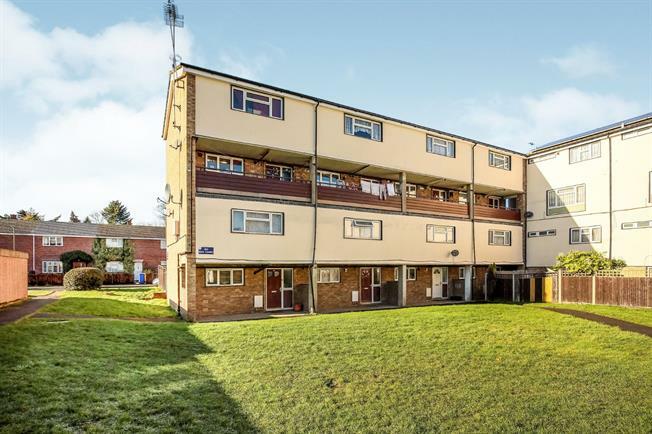 2 Bedroom Maisonette For Sale in Woking for Offers in excess of £225,000. This excellent two double bedroom duplex maisonette is presented in good decorative order throughout. Featuring gas central heating, double glazing and laminate floors, the spacious open plan living room opens out onto your own private rear garden featuring a shed for storage and a children's playhouse with slide. Upstairs, discover two large double bedrooms boasting built in wardrobe space, which share a recently fitted, crisp and contemporary family bathroom. This conveniently located split level apartment is now available chain free, so call us now and we will take you to see it!